Labour MPs ousting Corbyn: the rebellion of the cheesemakers! 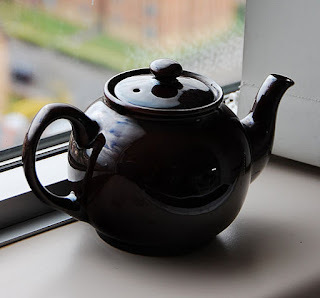 Labour Party rebels blaming Jeremy Corbyn for BREXIT bring to mind an emotionally inept spouse trying to work out why his angry partner threw a teapot at him. The ninny obsesses about what his spouse had against the smashed teapot. Was it the colour? Did the nozzle drip? Would a new teapot make everything better? He is far too self-obsessed to see the problem is himself. Labour MPs rebelling against Jeremy Corbyn are so distant and self-obsessed they can’t hear what the people they claim to represent are saying. "Blessed are the cheesemakers!" the bovine MPs hear, taking this as clear confirmation they should rebel. "The Greek will inherit the Earth" sends them scurrying looking for whoever is bearing the nicest gifts. So inept are the Labour rebel leaders that they staged a drip-drip of shadow ministerial resignations over several days. Confirming to ordinary Labour Party members the whole rebellion was rehearsed like a school production of a Gilbert & Sullivan comic opera: long on planning, short on talent. Or perhaps it was simply the later the resigner left their announcement indicated the measure of their cowardice in waiting for safety in numbers? In fact both the main political parties, like many other reptilian species, periodically slough off their skins. The Tories with Thatcher in 1975, and Labour with Blair in 1994. What is unusual is in 2016 the Tories and Labour do it together. Writhing like two mating rat snakes. No romance, no empathy, just the need to spawn and survive. BREXIT was a protest against a politics that cut the many adrift, leaving the few to prosper. Corbyn and his supporters seem to be the only mainstream leaders who understand this. Perhaps Corbyn’s role is to block the Labour Leader’s seat to keep it from the Blairistas. Like the ancient Roman Horatio, Corbyn is holding the bridge to the leadership until an ambitious and suitably talented politician emerges from the Left. Britain needs strong parties of all complexions, from Left to Right. Whoever that ambitious and capable Leftie is, its about time you stepped forward. Until then, Corbyn should continue his Rope-A-Dope strategy, and let the rebels come out punching until they get bored with themselves.